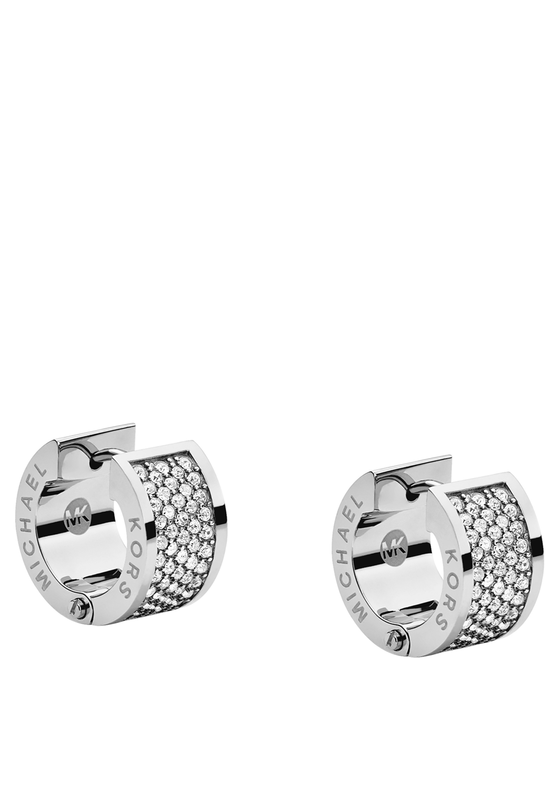 Add a hint of chic to your outfit with these stunning Michael Kors earrings in silver. 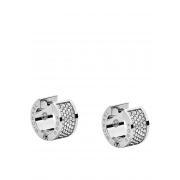 This gorgeous pair are encrusted with clear pave stones and hug the earobe. Michael Kors branding appears on the side and they catch the light beautifully.